If there’s one thing New York Yankees fans are privileged with it’s reaching the postseason. The expectation for the games most illustrious club has maintained itself at a steady ALDS appearance. Anything less is unacceptable and GM Brian Cashman’s head must be claimed as a repercussion. But, one thing we often forget is that a majority of teams don’t make the playoffs, and some don’t even get close. When slugger Giancarlo Stanton featured on the Miami Marlins he never even got a whiff of the sweet taste of postseason victory. Not until he became a soldier in Pinstripes did he ever experience the greatness beyond. Unfortunately for him, he contributed towards the offensive collapse against the Boston Red Sox in the 2018 ALDS. On the season, he slashed .266/.343/.509 with 38 home runs, 100 RBI and 211 strikeouts in 617 at-bats. His strikeout rate is what really concerned me during his first season in the Bronx. 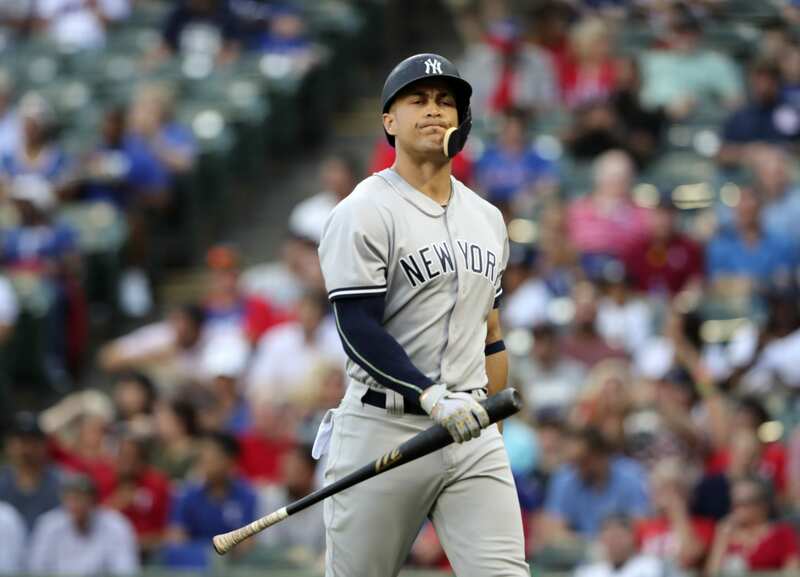 It’s only fair we give him a little slack as it was his inaugural season on a competitive team and he was trounced by players like Aaron Judge and Miguel Andujar in regard to effectiveness at the plate. Adapting to the American League takes some time, and now that Stanton has become acclimated with some of the teams and their pitchers, he will likely see a boost in batting efficiency. Aaron Boone addressed Stanton’s comments and what they saw on film. He mentioned that as the $325 million man saw pitchers more, his contact and batting average at the plate increased. It’s almost as if he’s learning their tendencies on the fly. Boone stated that Stanton picks up on pitchers faster than the average player, which probably contributed to his MVP accolade in 2017. While his adaptation is impressive, strikeouts remain a significant issue and will likely plague him for another season. The boos will rain down from the bleachers and he will walk silently back to the dugout to the comfort of his teammates. Life isn’t easy for a player that lives and dies on the home run, especially in one of the most hostile sports markets in the world.